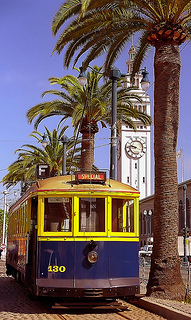 When people think of San Francisco, one of the first images that comes to mind is of our iconic cable cars. They are at once a tourist attraction and an important part of the local mass transportation system. Our San Francisco accident lawyer is committed to the victims in our region and this means understanding the unique issues in our town. This work is especially important when a cable car accident catches the attention of our nation. After all, we want the country to know that someone is looking out for their safety when they visit the Bay Area and will work hard to represent them if the unexpected occurs. An article in the San Francisco Chronicle tells the story of a recent cable car accident in the Nob Hill neighborhood. On Wednesday, a cable car with about 40 passengers on board, came to a sudden stop causing seven people to suffer injuries. One elderly man fell and hit his head, incurring potentially life-threatening injuries. An ambulance also transported four passengers, who suffered non-life-threatening injuries, for hospital treatment. The injured also included the conductor, who required surgery for injuries to his face and tongue, and the car’s gripman who suffered internal injuries and cracked ribs. John Haley, Director of the San Francisco Municipal Transportation Agency, told reporters on the scene that the accident appeared to have stemmed from a 1.5-inch bolt stuck in the track. From the outset, officials said that the bolt did not originate from another cable car travelling the same route. A later report from the San Francisco Examiner, said inspectors determined the bolt had fallen loose from a switch plate that covers a portion of the tracks. That report noted that the bolt was jammed on top of the tracks, about 6 inches above the sensor-covered underground cables. The sensors trigger an alarm if an obstruction is sensed, alerting the operator to stop. Often it is just debris, such as a hot dog wrapper, that triggers an alarm. However, no alarm sounded on Wednesday because the bolt never touched any of the sensors. Haley said that Muni will be reviewing the track maintenance system and adding a weekly check of switch plate bolt tightness in addition to the daily checks of 40 cable car system components. The San Francisco Municipal Transportation Agency, known locally as “Muni,” system includes a number of forms of transportation such as buses, trolleys, light rail vehicles, and streetcars. Victims injured by any element of the Muni system should know that there are some specific legal issues that apply to such cases. Muni is a public entity and a common carrier (i.e. an individual or system that offers to carry people, items, or messages for hire), both of which trigger specific legal duties and specific rules for those bringing injury claims against the group. One of the most important things to know is that a victim of a Muni accident must file a claim within six months, a much shorter period than the two years that applies to most injury cases. Before filing a lawsuit, the victim (or his legal counsel) must file a written claim with the city and county, a document that must include very specific, technical information. A lawsuit can be dismissed for failure to comply with this procedural requirement. In practice, these claims are almost always rejected, triggering a second six-month period for the victim to file an actual lawsuit. The suit itself involves specific principles applicable to Muni and similar government-operated transportation services. Muni has a legal responsibility to provide safe passage to its passengers. A victim who proves that a Muni accident caused his or her injuries can recover damages similar to those available in a suit against a private citizen including medical costs and lost wages as well as compensation for pain and suffering. Victims can only recover these monies if they meet all the strict, complex requirements for a suit against Muni. That is why it is essential for victims to engage an experienced San Francisco Muni accident law firm. Attorney Brod has this experience and can help ensure all procedural requirements are met and that the case is prepared in the manner most likely to lead to a maximum financial recovery.